Is it time you start saying goodbye to your [insert favorite toasted Quiznos sandwich here]? Not quite, but the sandwich chain is reportedly readying itself to file for bankruptcy-court protection in the next few weeks, under the strain of complaining franchisees and a $570 million debt load. The Wall Street Journal cites insiders who say Quiznos has been wheeling and dealing with creditors for weeks to work on a restructuring plan to ensure a smooth cruise through bankruptcy court, but negotiations haven’t resulted in a deal just yet. Even with a Chapter 11 filing to help Quiznos, the company will have to also work on its apparently testy relationship with many franchisees who say they just can’t compete with other businesses because it’s so expensive to run a Quiznos. And if your franchise locations aren’t thriving, that means the entire brand suffers. 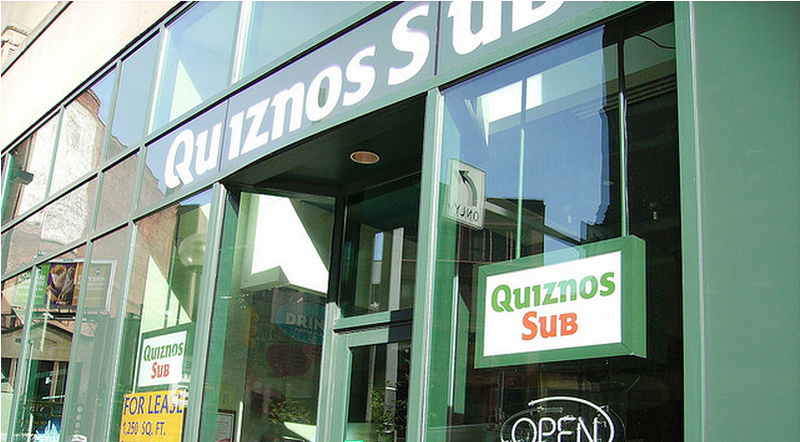 Franchisees not only have to pay fees to the company to use the name Quiznos, but operators also have to buy most of their supplies and ingredients from Quiznos’ distribution business. Many franchisees complained that that business is overcharging them for what they could get cheaper elsewhere. One franchisee said he spent about $350,000 to open a Quiznos franchise in 2005, but quickly realized that the business wouldn’t make enough money to cover expenses, and ended up selling the franchise for half what he paid for it. That was less than a year from when he bought it. He says his annual sales would’ve come in around $600,000, but when he was losing $3,000 to $5,000 a month, it wasn’t worth it. “It sounds like we were doing a lot [of business] but there was actually no profit because of food costs and labor,” he said. Previous The Consumerist Quiz: How Well Do You Know Your Fortune 500 Companies?